You might remember my blog from a few months ago about a place in Brighton called Iydea, in which I briefly mentioned rootcandi: ‘Brighton’s premiere plant-based tapas restaurant’? 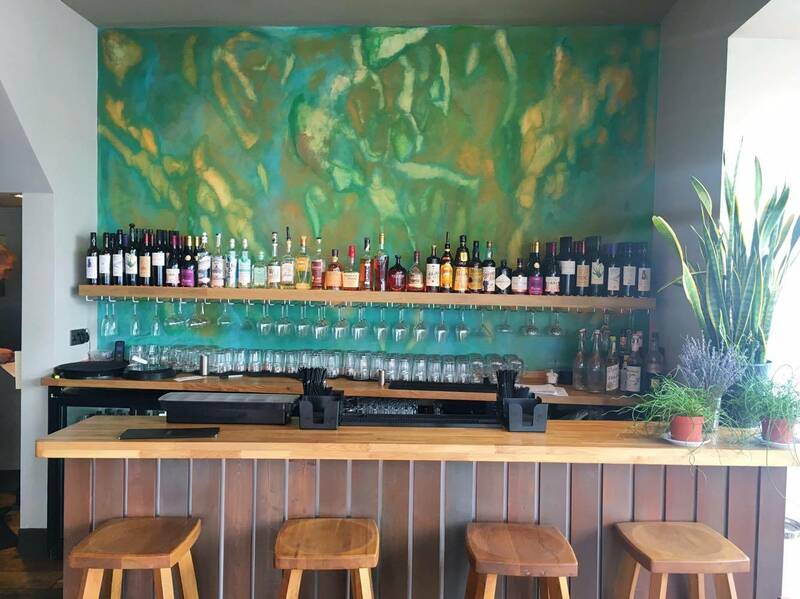 Well, rootcandi has now completely taken over the whole of the Western Road location, to create a unique Vegan dining experience. 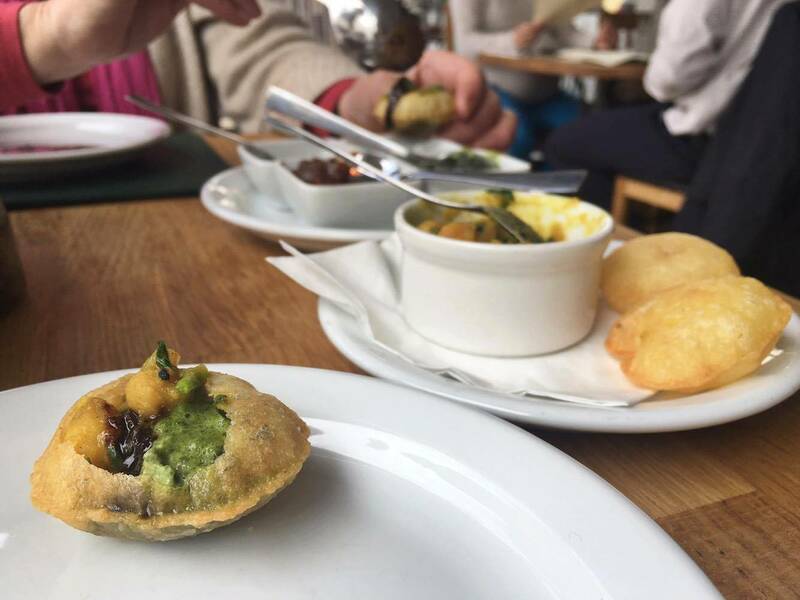 When I first heard Iydea was closing and was being reinvented entirely as rootcandi I was a little distressed to say the least; However, since visiting for a lovely big lunch with my mum, my fear of the change couldn’t have been more misplaced! Specialising in tapas sets and fusions of world cuisine, rootcandi’s interior is colourful, and just the right amount of casual. No pressure to be dressed up, so you can pop in for a late lunch to catch up with friends, but also at the same time if you were to go in the evening for a celebration, heels and a little dress wouldn’t look out of place either. The food at rootcandi was created by head chef, Reuben Waller who has years of experience working in Michelin-starred tapas-style restaurants. Absolutely everything is Vegan and dishes including gluten, sugar, nuts and mustard are all clearly labelled if you have any specific dietary requirements. The delectable range of 6 miniature dishes per set are organised into four “tapas towers”, inspired by cuisines and taste pallets from around the world (Pan-Asian, Modern European, South American and Indian) and named after different parks/squares in and around Brighton: Queens, Stanmer, Preston, Brunswick with 6 dishes per set. Each one has been created to be shared between two, ranging from £16 to £22 per person. 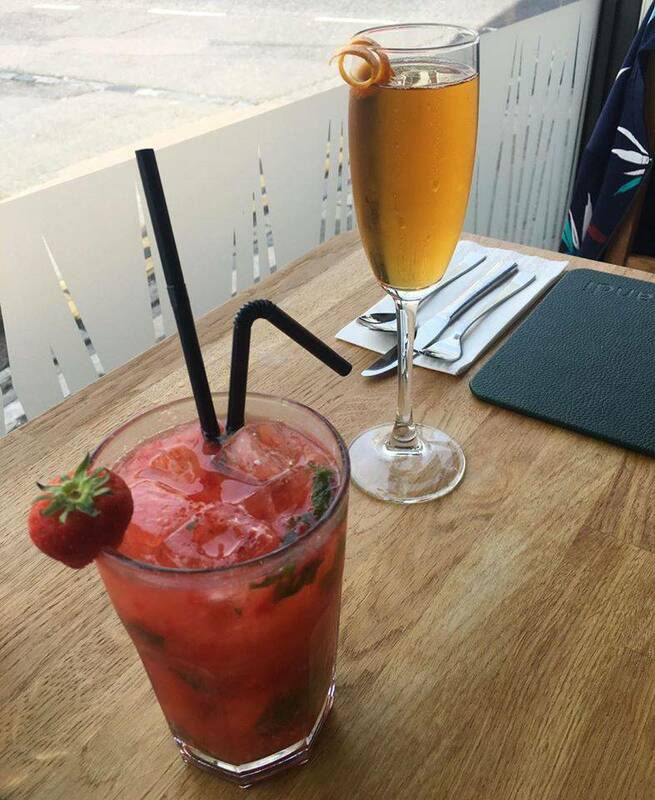 If you’re looking for a quick, casual bite to eat on your lunch break, there is also the option to chose a single tapas dish or two (prices range from £3.90 to £7.90) to create a smaller meal, or there is a lunch menu available 12pm-6pm with a selection of dishes under £10. On arrival we had the option to sit anywhere on the ground floor of the restaurant & were instantly provided with a drinks menu – the customer service was excellent. I opted for a Fresh Strawberry Mojito – with stawberries, mint, lime and white rum… And my mum chose a simple cocktail served in a flute glass with a twist of orange: the Pimms Royale – with Pimms No. 1 & Prosecco. Both were very tasty, made well & served quickly. Fennel salad – including fresh & candied grapefruit and pickled red onion & garlic. Fritto Misto – lightly deep fried tempura: rocket, romanesco, and courgette, served with tomato chilli jam. Considering there was only one other table who had order ahead of us the food did take a little longer than expected to arrive which I noted at the time… However in hindsight, with so many little dishes and carefully made colourful bowls of food, it was to be expected – and I wasn’t in a rush anyway! 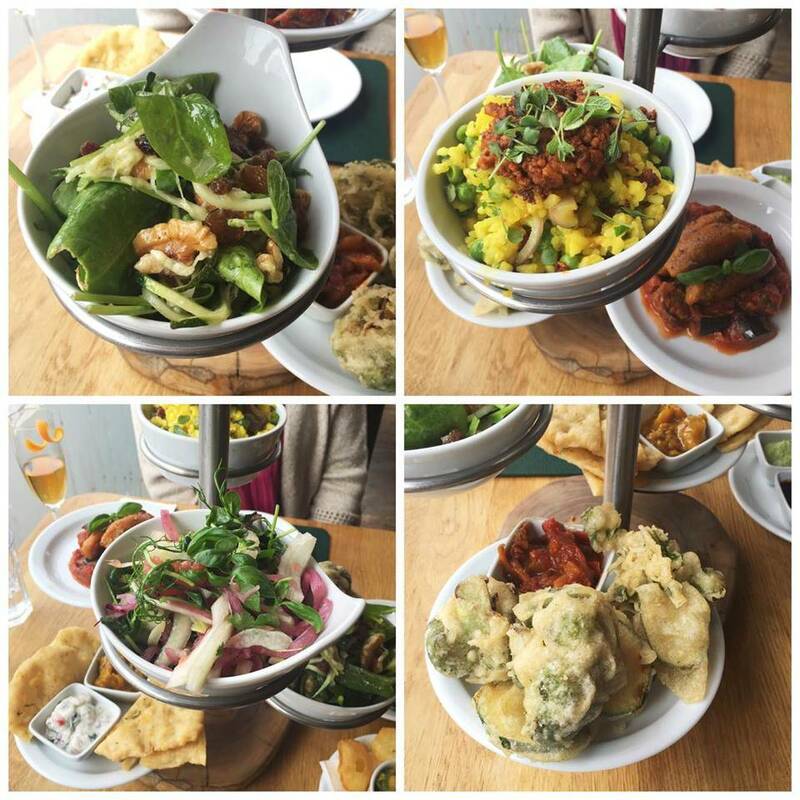 Now came the fun bit… Tucking into our tower of colourful little dishes, and (nearly) everything was perfect. The naan was a little overcooked and very chewy which was a shame as mum wasn’t so keen on it, but considering I am such a sucker for anything with garlic AND rosemary, I still ate it all. The Fritto Misto & Capanato were really tasty: rich and flavoursome, without being seeming stodgy or carby, and were an ideal sized portion for two people. I’ll be honest, I actually didn’t notice that the fennel salad included grapefruit (otherwise I probably would have swapped it for something else as I’m not usually a fan of the sweet & savoury flavours mixed together), but this was very light & fresh, and to my surprise the sharpness of the grapefruit brilliantly complimented the other interesting tastes within the Tapas set. The paprika on the paella added some extra flavour to an otherwise a mild dish, but it wasn’t a bad mild, just a contrast with the other strong flavours on the tower. 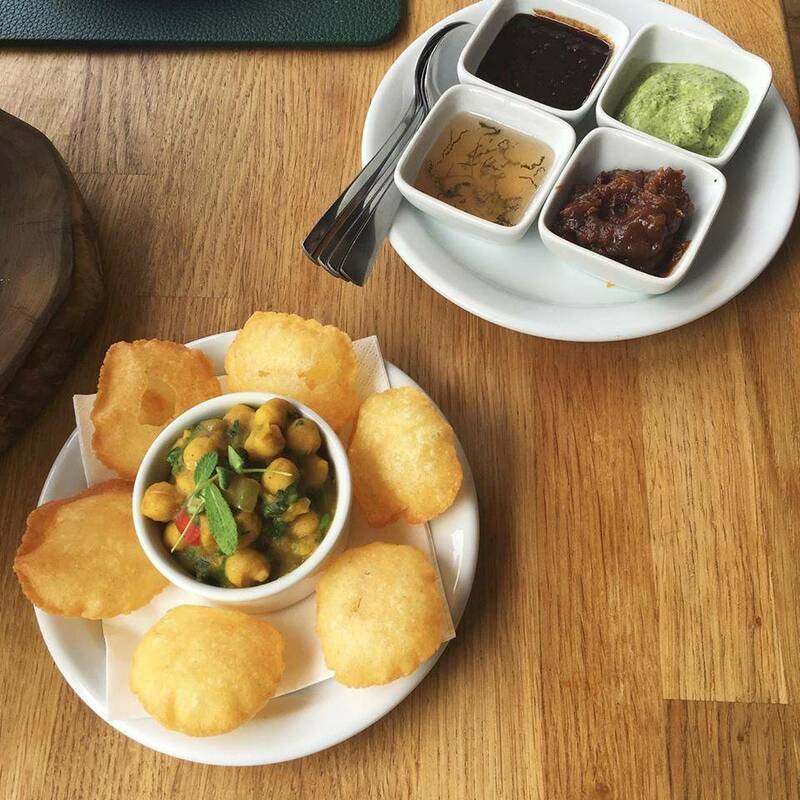 My absolute favourite part of the main course was something we chose as an extra dish called Pani Puri, which is an adorable Indian street food snack consisting of little hollowed puffs of pastry, served with chickpea and potato masala and a selection of chutneys & dips. Sadly my mum had to leave early to see some friends (such a little socialite! ), so I just tried the one dessert! Unfortunately they had run out of the ‘Pear Belle Hellene’ (which came with saffron croutons & chocolate soup) – so I’ll have to try it next time. 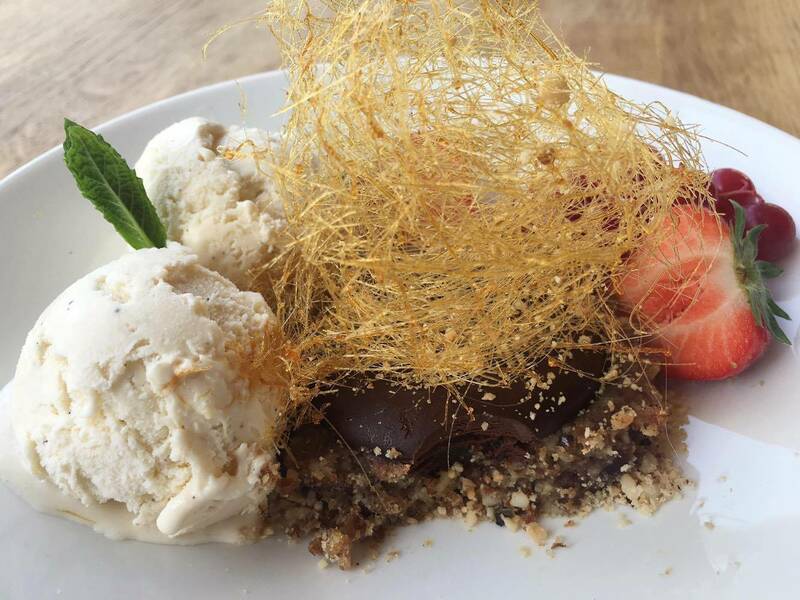 My second choice was the ‘Chocolate Ganache Tart’ – served with a mixed nut & date base, spun sugar and vanilla ice cream (on the menu it includes salted caramel but I am one of the few weirdos that strongly dislikes it, so asked for it to be omitted). One thing I was particularly impressed with was the spun sugar – it just fascinates me so much, it’s like a slightly thicker version of cotton candy… But also looked a bit like a work of art. You bite into it, and it melts into sugary slush. A very sweet treat that I couldn’t have too often, especially coupled with the rich tart, but thankfully the two scoops of vanilla ice cream helped me get through all of it. As you can tell from the photos, the presentation with everything throughout the meal was immaculate, and the dessert was no different, it almost looked too good to eat! 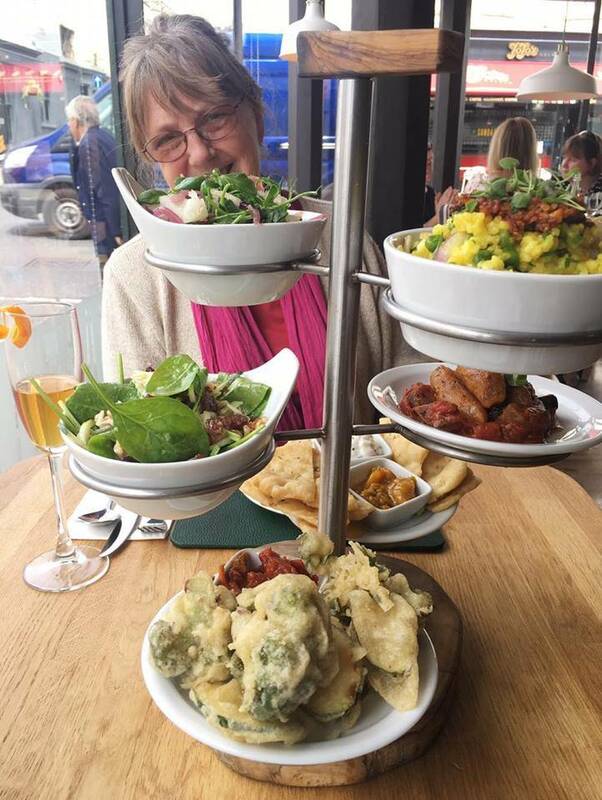 Every time food was put down on the table in front of us, I would “wow” out loud, overall the entire meal was such a excellent experience, I’m very pleased I was able to treat my mum to a lovely meal too! 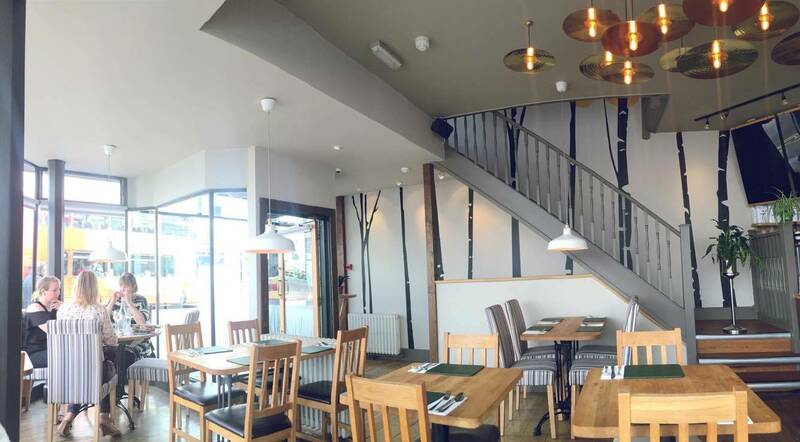 The atmosphere is relaxed and welcoming, the location is great, and both of the members of staff we had the pleasure of speaking to were polite, knowledgeable and accommodating. 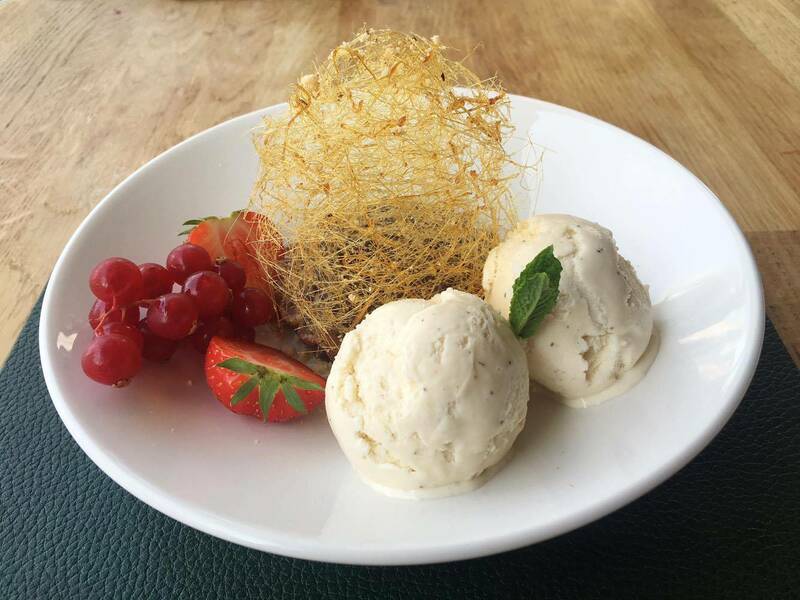 Price wise it is dearer than Iydea, however I think that’s reflected in the style & vibe of the restaurant and great quality of the the food – a lot of thought that has obviously gone into making every dish perfect. If the price is a little steep for you I understand they also do something called “Tappi Hour” which I am obviously going to have to go to some time so I can try some more of (/the rest of) the menu. Massive thank you to rootcandi for inviting me down to try out the phenomenal food, and for ensuring my mum & I were very happy during our visit. I’ve been incredibly lucky with visiting places to blog about that I’ve completely loved & this place was no different. I think there’s always added pressure for “specialist” restaurants that cater to a range of dietary requirements – to ensure the food is tasty and “impressive enough” for omnivores to enjoy as well, and I really feel that rootcandi has gone above and beyond to create an interesting and varied menu to suit a range of palates and occassions. For other tasty places in Brighton that have excellent meat-free choices for Vegans, check out Iydea, or Morelli Zorelli! Or if you’re in London, I can’t recommend Mildred’s enough! At last – new high quality, exciting, taste delights for vegan and vegetarian (and all omnivore ) “foodies”. Loved loved loved it ! Brighton & Hove “v” eating choices get better and better, we don’t have to accept unimaginative limited menus. Rootcandi :- A new meal experience. A special outing or a single tapas visit.